Creed: Rise to Glory punches its way onto VR platforms on September 25, 2018. You’ll play as Adonis Johnson, who is training under the tutelage of Rocky Balboa. 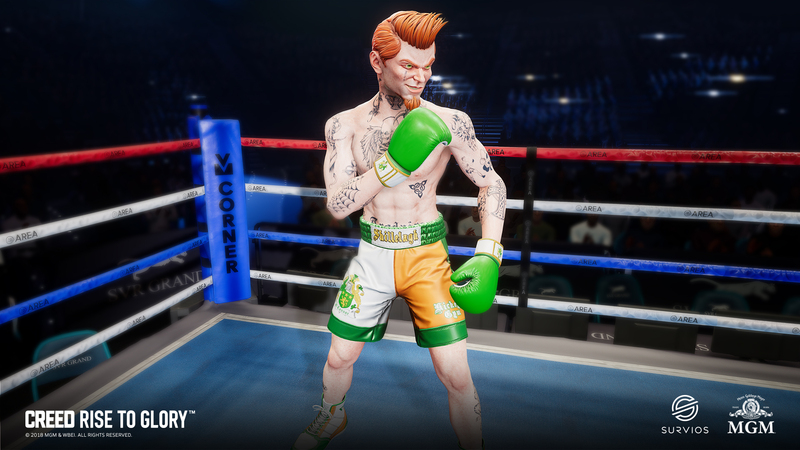 Developed by Survios, the team behind Sprint Vector and Raw Data, Creed: Rise to Glory will draw on familiar VR mechanics to create this boxing simulator. Creed: Rise to Glory isn’t just a punching free-for-all. Anyone who has stepped into the ring knows the importance of never dropping your fists. Using the PlayStation Move controllers, players will need to keep their hands up and block incoming punches. You can also lean to avoid getting hit. When you get knocked back, you’ll have to realign the controllers to regain your composure. Similar to Sprint Vector, moving forward requires you to swing your arms in a running motion. When you get knocked down you’ll have to run back into the ring before the count is over. The game also includes various training sessions with Rocky and, if you purchase the PlayStation VR version, you’ll get an exclusive chance to fight as a young Rocky Balboa. Creed: Rise to Glory will release on September 25, 2018 for the PlayStation VR, HTC Vive, and Oculus Rift.